Today I want to introduce you to a new series called “Trans Strong” over the next few days and weeks you will see digital art portraits of some amazing women sharing their stories of love, loss, family, and jobs as being transgender women. I hope this will continue to introduce you to trans people across the world and showcase that transgender rights are a matter of human rights. The first story I share comes from Michelle Grace Hall a United States Navy Veteran. Since coming out she at first faced discrimination in job interviews, and even within the sport she loves, hockey. However, she has found great support with her current employer, has been married for over 15 years. I hope you share this story to remind the world that we will never be erased and to combat the discriminatory trans military ban. 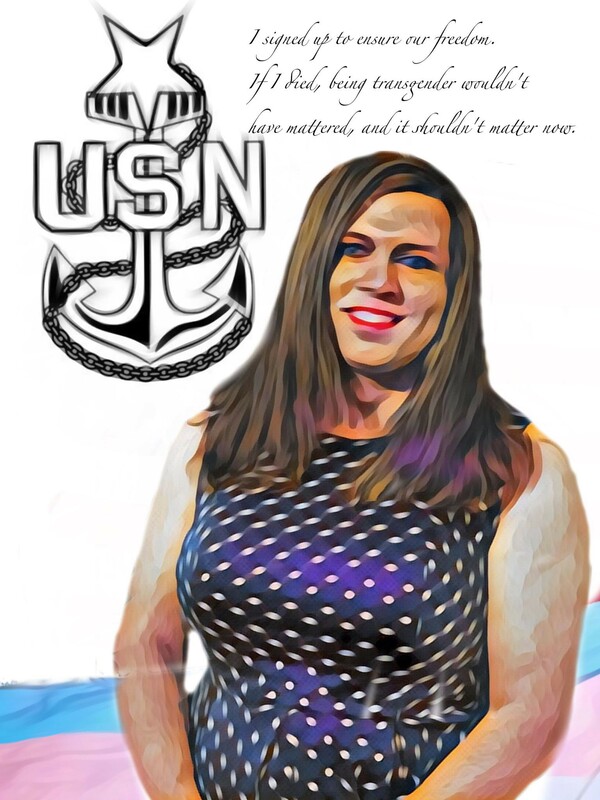 US Navy Veteran Michelle Grace Hall, art by Shana Carroll.